How to become a drone pilot in 2019? This article gives you a clear idea about how to get drone certification for drone pilot license. The actual term for drone certification is a remote pilot certificate. But most of the people using the term as drone license, UAV certificate, drone pilot license, Part 107 remote pilot certificate, commercial drone license, drone permit, etc. This article helps you on how to pass the drone license test, resources to prepare for the test, FAQs, Requirements, test format, etc. I can tell you that this is an ultimate guide to make you a professional drone pilot in 2019. How to Become a Certified Drone Pilot in 2019? How to Pass the Aeronautical Knowledge Test? How can I prepare for the UAS Aeronautical Knowledge Test or Part 107 written drone test? What is the Remote Pilot Knowledge Test Format? Is there any medical exam is required to get the drone certification? How long does it take to get drone certification? What happens if I fail the FAA’s aeronautical knowledge test? 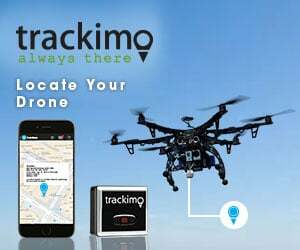 If you are a recreational drone user and wants to fly a drone / UAV as a hobby, then no need of any drone certification or drone pilot license to fly it. But if you are like to fly a drone for commercial purposes, then definitely you need a commercial drone pilot license issued by FAA. And don’t forget to register your drone before you start flying. Let’s see how to become a certified drone pilot? To become a drone pilot, you must get the drone pilot certification from FAA. Follow the below steps to get the drone pilot license. To become a drone pilot you must meet the below requirements. You must be at least 16 years old to get the drone pilot license. Must be able to read, speak, write, and understand English. Be in a good physical and mental condition to carefully operate a drone/UAS. And finally, the most important one. You must pass the initial aeronautical knowledge exam at anyone of the FAA-approved knowledge testing centers. To get the drone pilot license, you must possess the below requirements. The drone license certification is valid only for 2 years. So that the certificate holders must pass a recurrent knowledge test every 2 years. The application process is simple. Initially, you must get an appointment with the FAA approved Knowledge Testing Centers and pass the Aeronautical Knowledge test. Choose the center near to you. Here is the list of Knowledge Testing Centers approved by FAA. To write the test you have to bring your original photo ID card issued by US government. To get the remote pilot certificate (FAA Airman Certificate and/or Rating Application), you must fill the FAA Form 8710-13. Fill the form using the electronic FAA Integrated Airman Certificate and/or Rating Application system (IACRA). If you like to apply for the certification via paper, it takes a long time and also you cannot get the temporary certification (drone pilot license). First, create an account by providing username and password. After creating an account, apply for drone pilot license with the below steps. Then click on Start New Application. Then select the Certification as Remote Pilot. Then follow application prompts to finish it. Then you must sign the application electronically and submit to for processing. After this application process, you will get a confirmation email for your registered mail. Also, this mail consists of the temporary remote pilot certificate copy from IACRA. Note: You will get the confirmation mail only after you completed the Transportation Security Administration (TSA) security background check. Once the FAA’s internal processing is completed, you will get the permanent remote pilot certificate via mail. The aeronautical knowledge test is essential to get the drone pilot license. To pass the aeronautical knowledge test, you need basic knowledge in the below areas. Airspace classification and operating requirements, and flight restrictions affecting operations of small unmanned aircraft. Aviation weather sources and effects of weather on small unmanned aircraft performance. Regulations relating to drones or small unmanned aircraft system (sUAS) limitations, flight operation and rating privileges. Small unmanned aircraft loading and performance. Here is the Remote Pilot Knowledge Test Guide provided by FAA. Also here you can get the free online course conducted by FAA. You can create an account to access the resources. Sample Questions officially released by FAA. Total test time is 2 hours. Fully objective, multiple-choice type test. There are 60 total questions. Some questions may need visual mentions, like airspace maps or charts. You have to get minimum 70% to pass the examination. i.e, At least you will give correct answers. No, there is no medical exam for applying drone certification. The cost to become a certified remote pilot with a small UAS rating would be $150. After successful completion of Aeronautical Knowledge Exam, you have to wait up to 48 hours. Then apply for your Remote Pilot Certificate using the FAA’s online IACRA system. Don’t worry! You have to wait for just 2 weeks. After two weeks, you can take a retest. In a meantime, prepare yourself by correcting your faults in the previous test. Hope this guide gives you a clear idea about how to become a drone pilot and how to get drone certification for drone pilot license. The actual term for drone certification is a remote pilot certificate. But most of the people using the term as drone license, UAV certificate, part 107 remote pilot certificate, commercial drone license, drone pilot license, drone permit, etc. This article gives you a clear understanding of how to pass the drone license test, resources to prepare for the test, FAQs, Requirements, test format, etc. I am happy if this ultimate guide makes you a professional drone pilot. If you have a somewhat low budget, then check my previous articles about affordable drones under 100 dollars and cheap drones under $200.